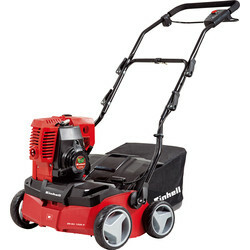 Cultivate and refresh the soil with scarifiers and tillers at Toolstation from trusted brands such as Einhell and Greenworks. 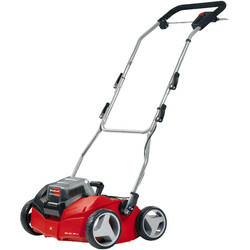 Choose between petrol, electric and battery scarifiers and tillers to suit your size of lawn and get your garden ready for planting. 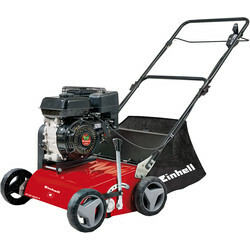 For a quality, high performance lawn scarifier, choose the Einhell petrol scarifier for the aeration and scarifying of medium to large lawns with its 4-stroke engine and 28 litre bag. 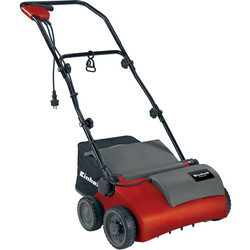 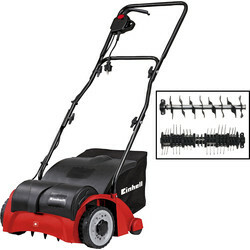 The Einhell electric scarifier is ideal for smaller lawns and has a ball bearing spike drum with 8 double blades and a 10m cable length. 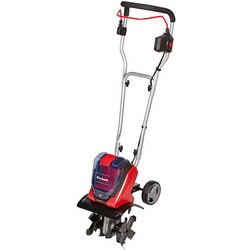 If you're a landscaper and need an effective lawn scarifier that's easy to transport, choose the Greenworks 50V scarifier which can dig up to 20cm and make light work of turning over dug ground. 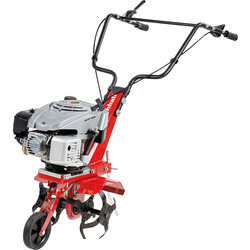 Or to penetrate hard ground and break up thick soil, choose the Einhell petrol tiller with a 4 stroke 139cc engine and electronic ignition.